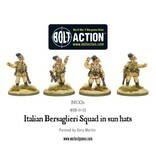 All of the above miniatures are supplied with sun helmets sporting the trademark black feathers of the Bersaglieri. 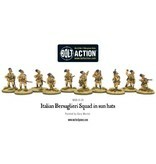 These figures are perfect for fighting battles set in the Western Desert and Tunisia. 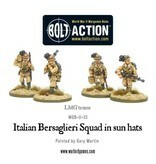 The Bersaglieri have a long and fine tradition in the Italian army. 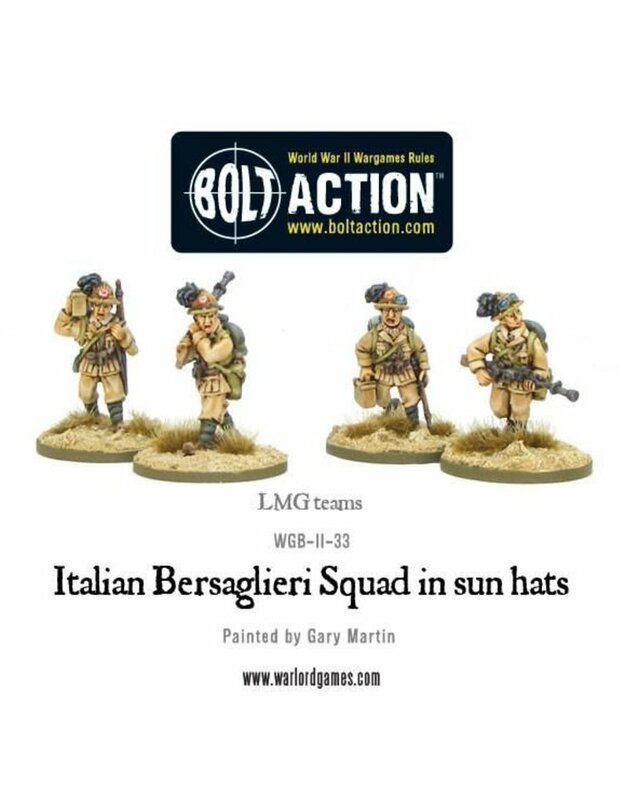 Formed in 1836, they are an elite unit of infantry and famed for their skill in small arms - Bersaglieri meaning marksman in Italian. 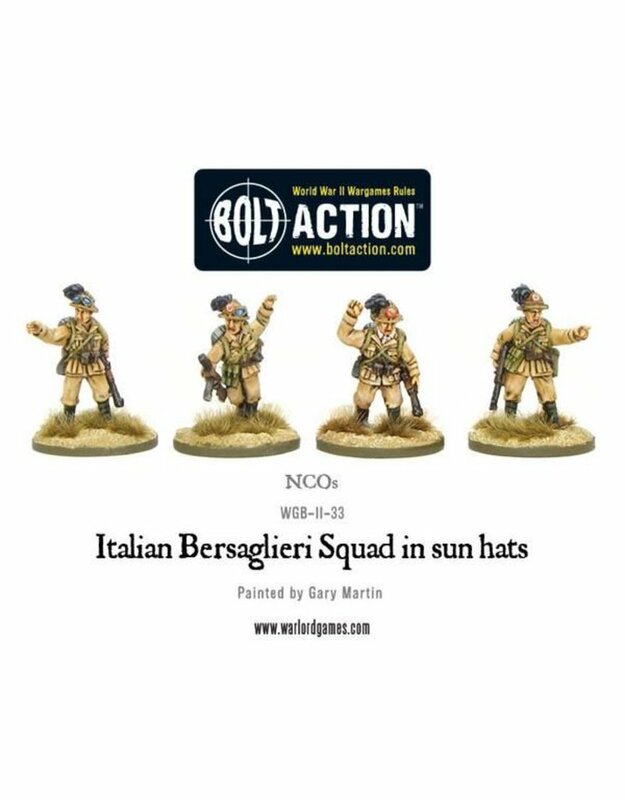 They recruited only the fittest and best men into their ranks, and they were renowned, even today, for their marching abilities and swiftness of deployment. 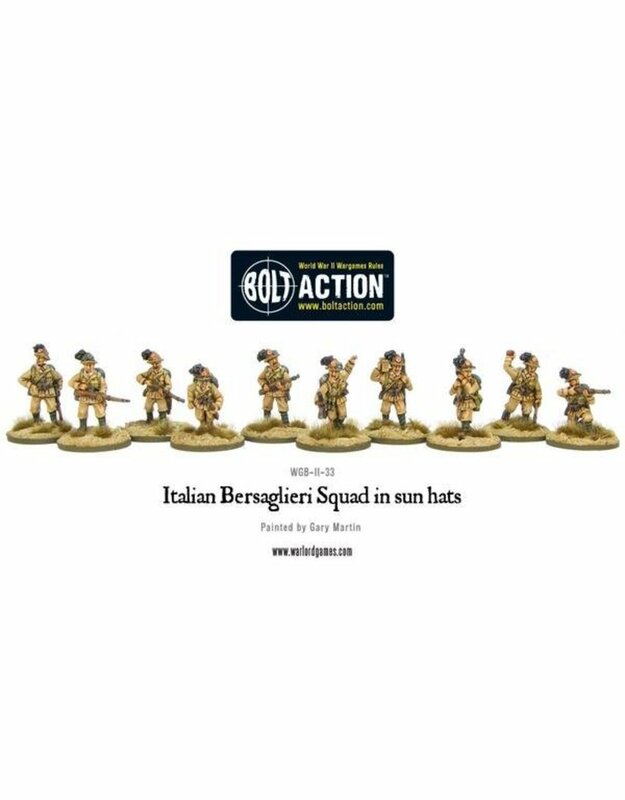 This elite Corps show off their prowess by wearing a startling bunch of black capercaillie feathers in their hats and helmets! 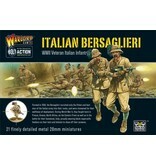 During World War II, the Bersaglieri fought in France, Greece, North Africa and even on the Eastern Front as well as in the battle for their homeland, Italy, where they earned the respect of their foes, and the thanks of their allies. 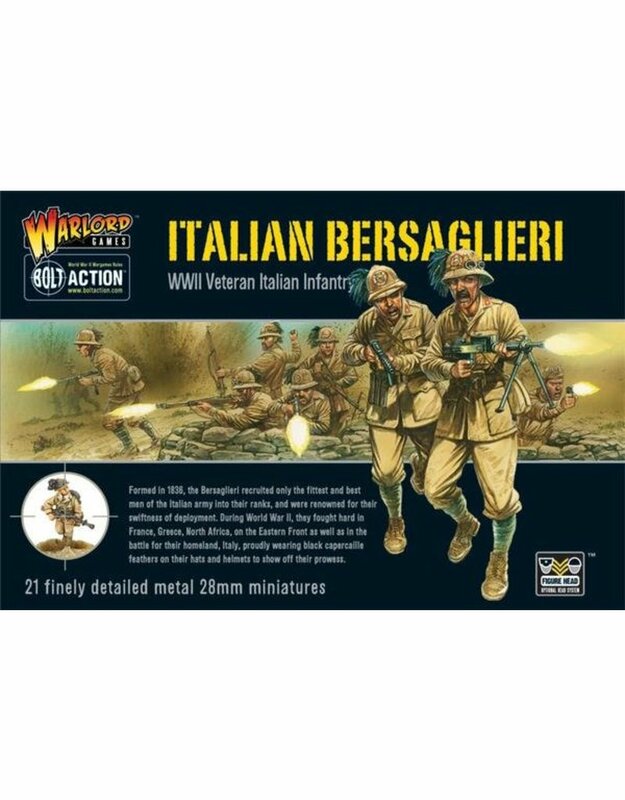 As the famed German Field Marshall, Erwin Rommel once said "The German soldier has impressed the world, however the Italian Bersagliere soldier has impressed the German soldier."